New Jersey Governor Phil Murphy speaks to reporters in June. On Friday, he said a new IRS rule that prevents New Jersey from using a workaround to the new federal tax law will hurt taxpayers. The IRS ruling that would prevent New Jersey and other states from using a potential workaround to the new federal tax law is targeted at heavily Democratic states and is a "regulatory overreach," Gov. Murphy said Friday. He vowed to fight it. The IRS rule, released Thursday, would prevent states from using strategies to circumvent a $10,000 cap on deductions for state and local income taxes. New Jersey legislators passed a law in May that would allow counties, municipalities, and school districts to establish charitable foundations to which residents could make payments instead of paying property taxes. The charitable contributions could then be counted as deductions on their federal taxes. The IRS already had cast doubt on such plans, had advised states against deploying them, and now has prohibited them officially. "We are not going to take this lightly," Murphy said. "We have only begun this fight." Murphy, speaking at a news conference Friday in Trenton, said he saw the rule change as an attack on Democratic-led states that are opposed to President Trump's tax overhaul. New Jersey is among the states most affected by the federal tax changes, as it has the highest property taxes in the nation, with an average bill of more than $8,000. 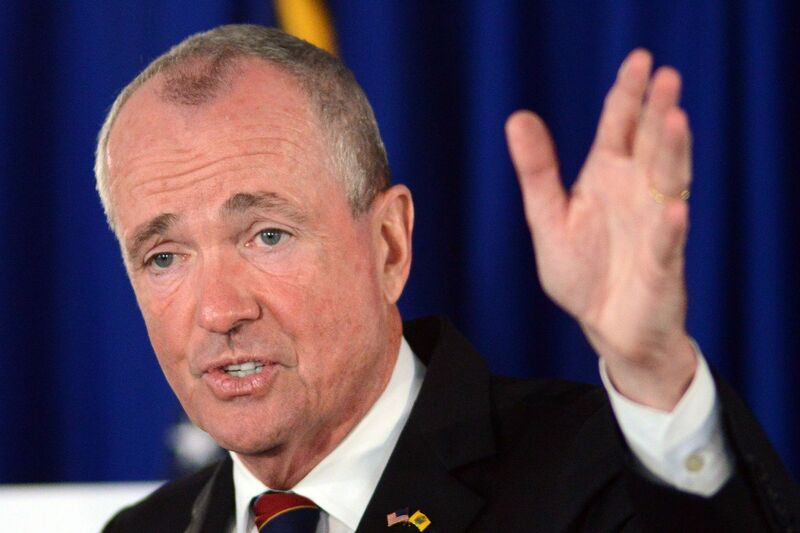 Murphy said he was not aware of any local government or school district that had established a charitable foundation; the New Jersey law allowing that action took effect in July, and officials knew that guidelines from the IRS would likely change. The state has "a toolkit ready to go" for local governments to implement charitable foundations, "but we wanted to see where this came out," Murphy said. The new federal tax law has also caused New Jersey lawmakers to call for rethinking their property tax system. After taking office in January, Murphy appointed two "shared-services czars" to encourage local governments to share services as a means of reducing taxes. And Senate President Stephen Sweeney (D., Gloucester) cited the new federal tax plan as his reason for opposing Murphy's proposed tax on millionaires — a move that led to a showdown over the state budget this year, despite Democrats controlling all branches of state government. Sweeney and Assembly Speaker Craig Coughlin (D., Middlesex) stood beside Murphy on Friday as he vowed to fight against the IRS rule change, consider further legal action — New Jersey and other states have already sued the Trump administration over its tax changes — and examine other potential legislation to help taxpayers hurt by the $10,000 cap. "This isn't fair," Sweeney said, "and we're going to fix this one way or another."